The Fort Berthold Library is located on the campus of the Fort Berthold Community College on the Fort Berthold Indian Reservation in New Town, North Dakota. As a dual status (Public/Academic) Library we serve the people Fort Berthold Indian Reservation and the students and faculty of the Fort Berthold Community College. The Library also houses a Law collection, a Special Collections devoted to the Mandan, Hidatsa and Arikara people, and a Native American Studies collection. New Town, North Dakota. 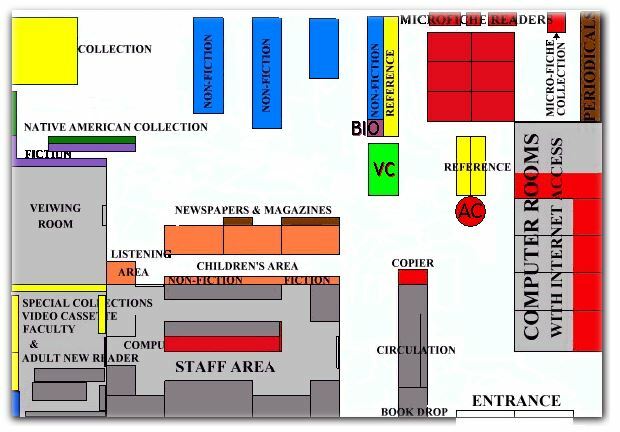 The Library provides access to over 19,000 volLibrary Main Entranceumes and 200 periodicals, with circulating collections that also include such materials as videos, audio-cassettes, CD's and records. We also can access the materials from the North Dakota State Library System and beyond through the Inter-Library Loan Program.